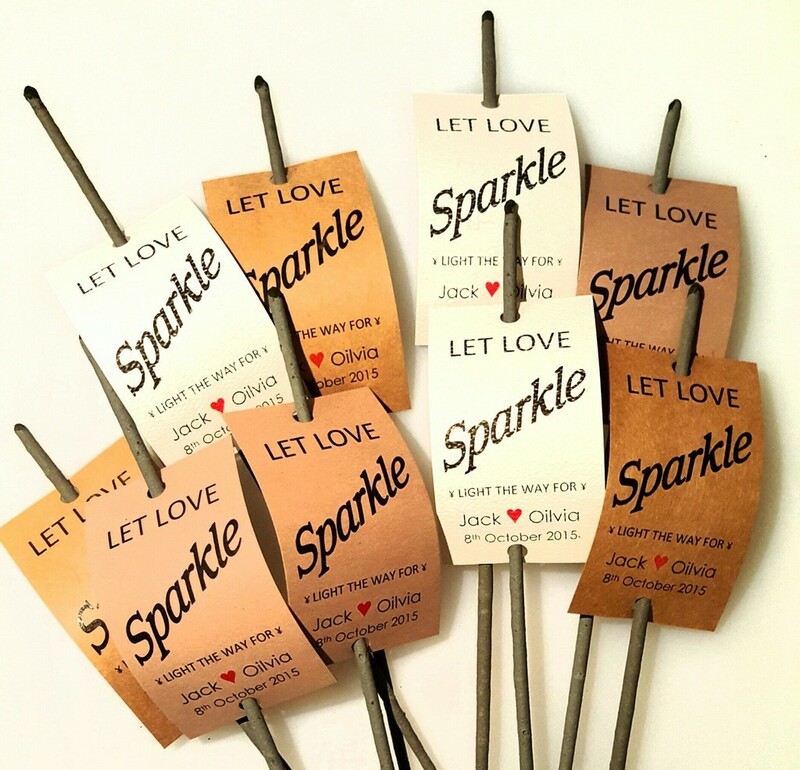 The use of sparklers and personalised sparkler tags especially at weddings seems to be increasing by the day and the reason for this is obvious. They do not only add more fun to the event, they also bring some magic to it, even as the wedding looks unique especially when the sparklers are used at night. Sparklers can be used in several forms and places during a wedding ceremony. While some persons would use sparklers at the entry, others love to use sparklers during the first dance, or even at the exit. Regardless of where and when they are used, your guests are surely going to remember your wedding for a long time to come if the sparklers are used appropriately. Below are some factors to be considered when using sparklers at wedding ceremonies. This is probably the first and most important of all the factors to be considered as you want to ascertain whether the most appropriate place to use the sparklers. It is even more important as some venues are prohibited from using sparklers in some areas. It is always advised that invited guests are informed of the use of light sparklers during the wedding ceremony. This is particularly important to avoid the use of random sparklers by your guests, which could ruin your plan of using the sparklers considering that some of your guests might want to be adventurous. It is worth noting that not everybody can properly make use of sparklers and considering the accidents that could occur as a result of the wrong use of sparklers, it is important that everyone that would be using the sparklers is educated on the preventive measures that should be taken to avoid accidents. It is essential to provide the necesary tools needed to light the sparklers. This could either be matches or lighters depending on your discretion. You however want to ensure that the provided matches or lighters are enough to cater to all invited persons that will be using the sparklers. In addition to the tool needed to light the sparklers, you also need a place to put off the sparklers once the guests are through with lighting up the event. Buckets of sand will be very helpful in this instance. You do not want your photographer missing this session or failing to capture the moments properly. It is therefore important to inform your photographer of the use of sparklers to enable him prepare adequately for the session.